A high chair may not be the first purchase that an expectant mum makes but it is one that will be needed sooner than you think. Before you know it your little one will be on solid foods and will need his or her own station in which to eat them safely. A high chair is an essential item and a necessary purchase for any expectant parents. What is a High Chair For? A high chair is literally a high-up chair that is designed for babies to sit in. They are too young to sit by themselves in adult chairs so the high chair provides support and stops them from falling out. It is high so that the child can be at the same level as the parents when they’re sitting at the table. The high chair on the right is a babybojrn and it is one of the top-end high chairs. This will be in our highchairs review section. This makes it easier to feed the baby and means that you don’t have to stoop down all the time. The whole point of high chairs is to ensure that the baby can eat in a safe and comfortable environment. 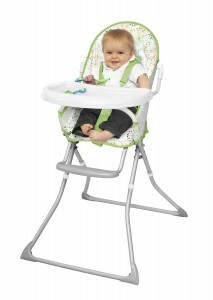 Basic high chairs will come with a simple seat on high legs and straps to restrain the child. Though these do not have a lot of features they are still ideal at doing what they do which is keeping your baby secure while eating. However, there are a number of other features that come with more innovative high chairs.We will look at these in our best high chair reviews. Whether you want them or not depends on your needs and that of your baby’s, plus your budget. Here are a few common high chair extras. How much does High Chair cost? No one can deny it, having a baby is expensive. A high chair is one of the larger purchases you’ll need to make, but luckily it is not one of the most expensive. Generally, high chairs range in price from as little as £10 to over £200.We are here to save you money why not have a look at our highchair reviews which covers a range of features. There are several benefits to high chairs for feeding your baby, find out the best ones below. Safety – Instead of trying to balance a wriggly young baby or toddler on an adult chair to eat you can put them in a high chair to keep them secure. Not only do high chairs have leg holes, they also have straps, very like seat belts, to hold children in. This means that you can be sure your baby won’t fall out. Height – They’re not called high chairs for nothing. 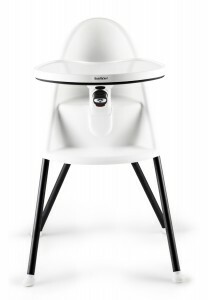 The height of the chair allows the child to sit at the table with you. This is ideal if you are eating at the same time and means that the baby is on level with you and that you don’t have to bend down to feed them. Posture – A high chair will help your child learn how to sit properly. Until now your baby hasn’t been in a chair that they’re able to support themselves in. 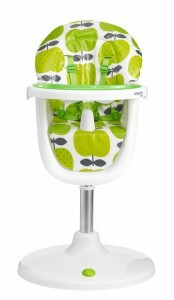 The high chair provides them with the support and lets babies learn how to sit up properly. Coordination – As you baby gets older and can feed themselves a high chair will help them learn hand-eye coordination. This is because they can feed themselves using a spoon and a bowl placed on the tray in front of them. Interaction – The height of the chair allows the child to be on a level with the parents. This is not only good for you but also for your child; they can see what you are doing and interact with you while they’re eating. They will start to pick up on table manners and other necessities. Cleaning – Cleaning a high chair is so much easier than trying to clean a table once your baby has thrown their food around. High chairs usually come with wipe clean seats and a lot have removable trays that are very easy to clean. The average price for a high chair is around £50. It is sizeable but not the most expensive purchase you’ll make. You may be able to get second hand high chairs for a lot less money.Read our highchair reviews to find the right chair for your baby.